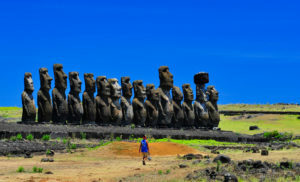 The grand mystery of the heads of Easter Island has just deepened…literally! Archeologists have excavated around the heads and guess what they found? The heads have full bodies! The bodies are covered in ancient and as of yet indecipherable writings called Petroglyphs.